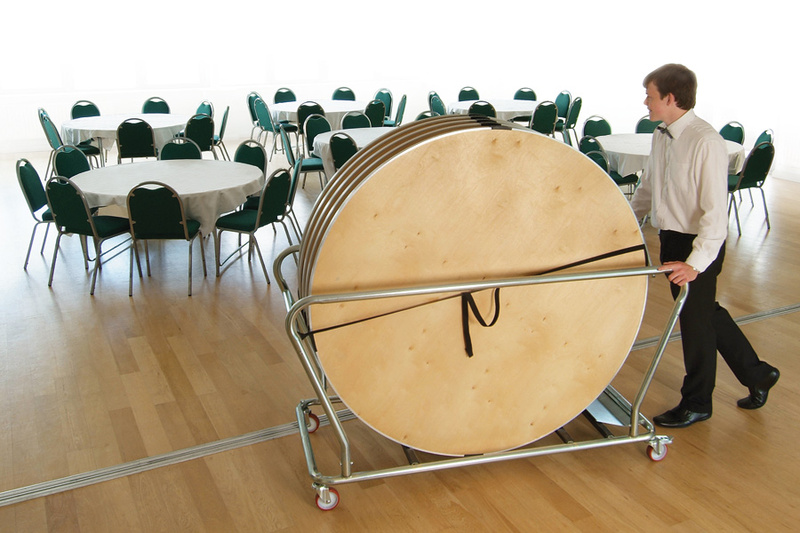 This round table trolley accommodates both 4ft and 5ft round tables and holds up to 6 Gopak round tables. 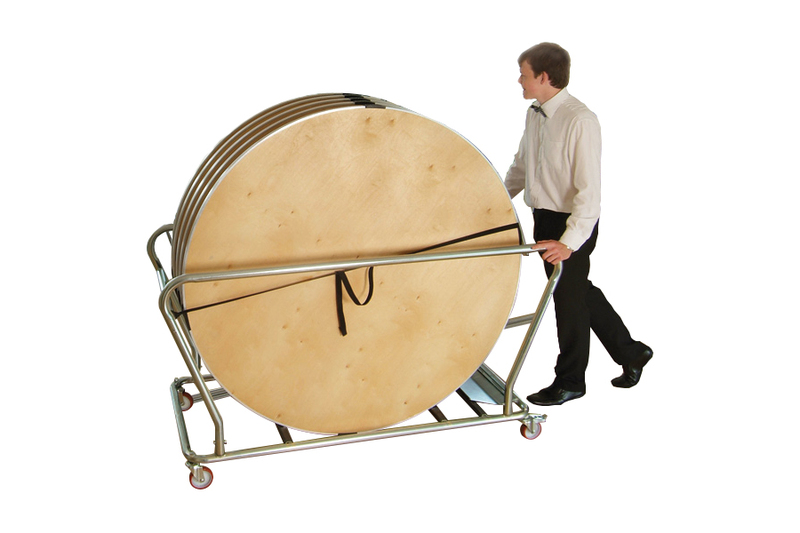 Ideal for easily and safely storing and moving round folding tables. The trolley is supplied flat-pack for self-assembly with step by step instructions provided. It comes complete with safety straps and brake castors for safe loading and unloading. This trolley will pass through a single doorway. Manufactured to order and dispatched 4-6 weeks.